When people hear the words “engagement ring,” they probably picture the classic six prong solitaire: one diamond set high on a white gold band. 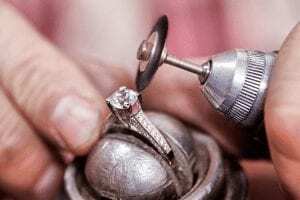 The reality of engagement rings is a lot more complex, with a multitude of options, and an even larger range of tastes. 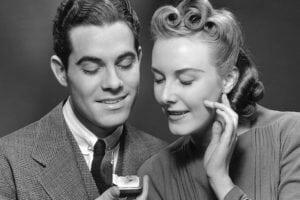 More and more people are electing to add accent stones to the ring, either in a halo or adorning the shank. 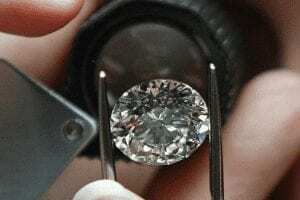 These accent stones can be small diamonds–or, if you want to add some color–non-diamond gemstones. 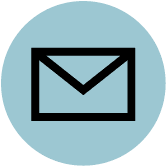 Companies like Gemvara can help you find the the right gemstones to go with your center stone and metal color. We’ve broken down some of the best options below, taking into account not only the aesthetic effects of each gem, but categories like birthstone and symbolism. The word garnet comes from the Latin word “granatus” meaning pomegranate. That’s because the fruit’s seeds are about the same size and color of red garnet stones. Often called the “stone of love,” garnet is said to have properties that deepen romantic connections and incite passion and desire. Hello. 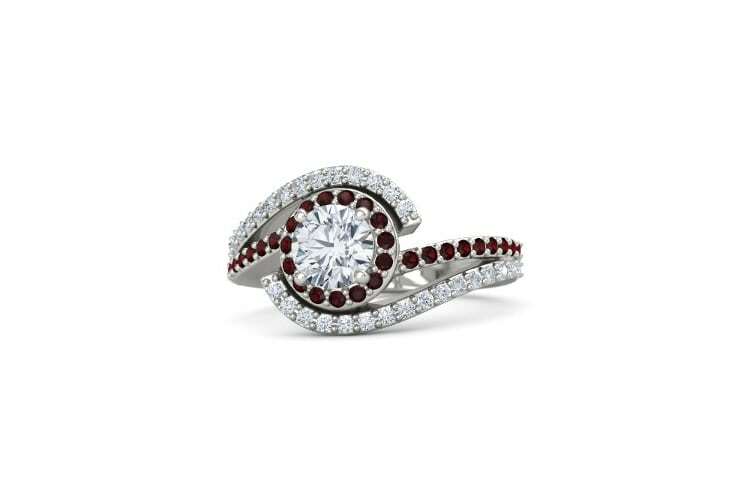 Red Garnet shines brightest with a platinum band and halo setting. According to Greek mythology, amethyst was created when Dionysus, the god of wine and revelry, dyed a clear crystal purple with his tears. The gemstone is believed to prevent intoxication and encourage clear, sober thinking. Not bad attributes to have when you’re making one of the most important and exciting decisions of your life. 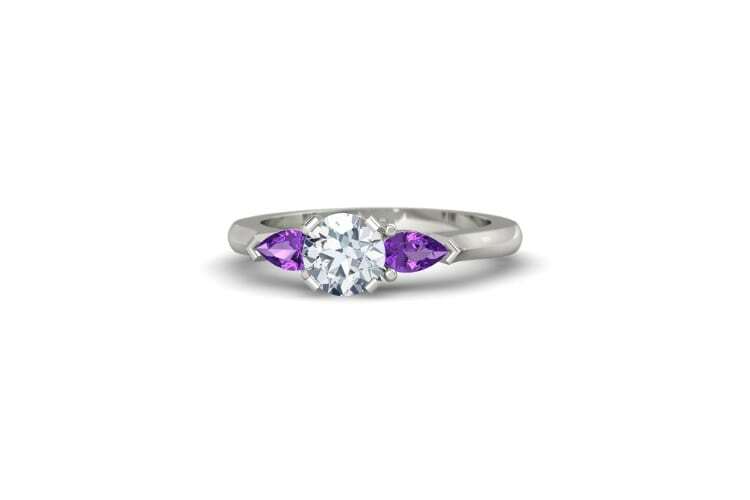 Amethyst’s purple tone looks brilliant in a platinum setting. Named after the latin word for seawater. Roman legend claims this gemstone absorbs young lovers’ energy and increases couples’ happiness, providing tranquility, calm nerves and a safe passage through turbulent times. Sounds like it was created by someone who knows a thing or two about marriage. Aquamarine’s light blue color looks radiant in both platinum and rose gold bands. Unlike colorless diamonds which are formed deep within the earth, black diamonds contain high levels of hydrogen, similar to rocks created in a cosmic environment–leading some scientists to believe that black diamonds ultimately come from outer space. Diamonds are associated with clarity and balance, and black traditionally stands for power and authority. So if you’re into that type of thing (or she is), a black diamond is formidable. If you promised your girlfriend the moon and the stars (what is this, the 1800’s?) black diamond accent stones will deliver. As the most classic neutral color, black pairs well with every metal. We think the platinum/black combo is particularly choice. In ancient Egypt emeralds symbolized eternal life. Greek mythology associates the gemstone with Venus, the goddess of love and beauty, and claims it promotes unconditional love and guards against infidelity. Green also symbolizes spring and rebirth, which is kind of appropriate at the start of your marriage. 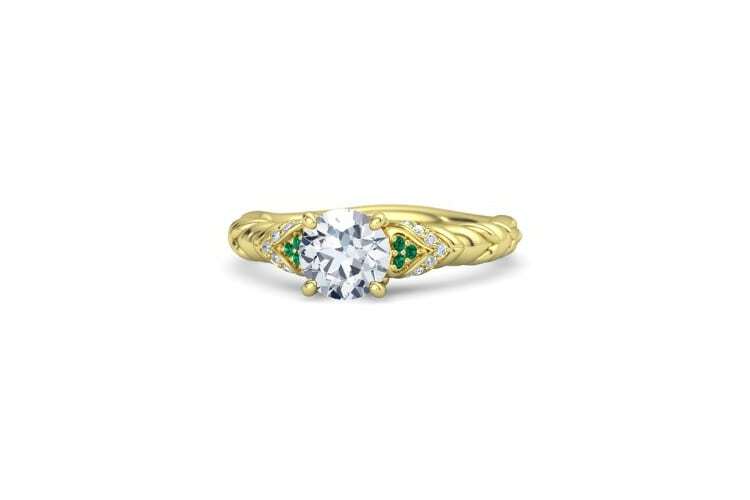 Pair the emerald with a yellow gold band for an engagement ring that’s beautiful and timeless. Alexandrite is one of the world’s rarest gemstones, and is prized for its ability to change colors from red to green, depending on the lighting. Believed to bring luck in love and finances. Nice. 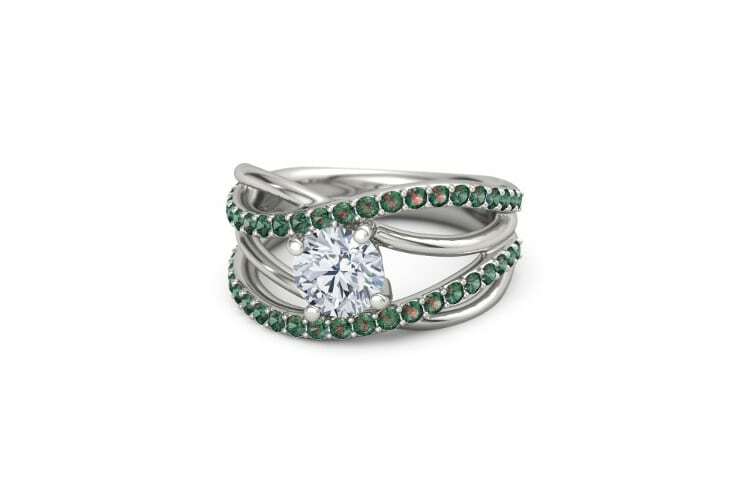 Because of alexandrite’s iridescent hue, the stone looks best with a platinum band. Comes from “ruber,” Latin for red. One of the world’s top four most precious stones, rubies symbolize love, power and passion. 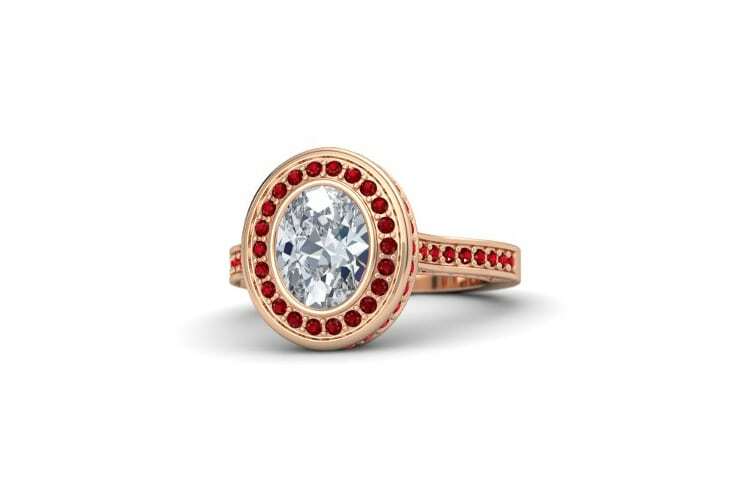 A rose gold band’s blush undertones will nicely complement the bright red color of the gem. Of uncertain origin. Some trace it back to a French word for gold, “peritot,” while others suggest a derivation from “feridat,” an Arabic word for gem. Peridot is thought to conjure courage and confidence and protect against jealous thoughts, especially during times of transition. This light, olive-green gemstone shines brightest in a platinum band. 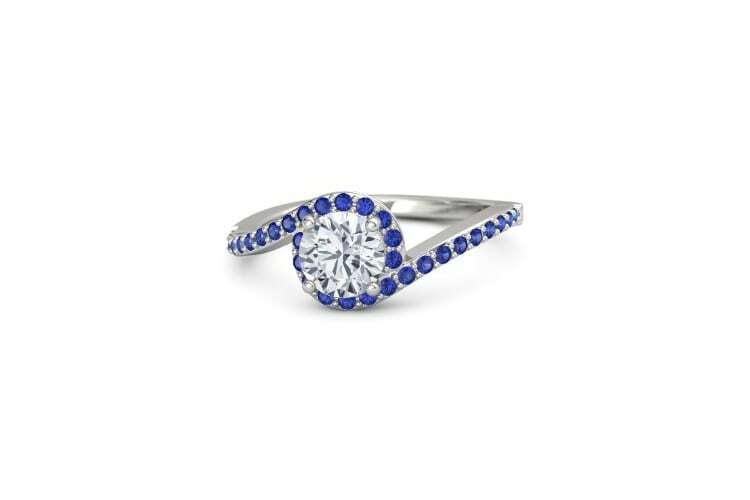 Blue sapphires equal royalty and wisdom. Hebrew tradition claims that the sage, King Solomon wore garments decorated with the stone. In modern times, a lot of blue sapphires found their way into The British Crown Jewels (as well as Princess Diana’s engagement ring, which Prince William then gave to Kate Middleton). The September birthstone looks modern in a platinum band but takes on a more regal air nestled in a diamond halo with yellow gold. 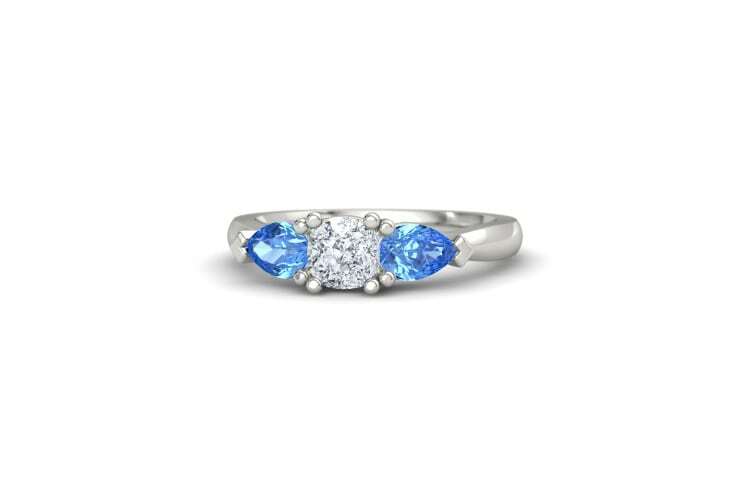 Like their blue sister stone, white sapphires are known to bring wisdom. They’re also credited with calming properties that promote clear thinking. This colorless stone looks best set into a yellow or rose gold band. 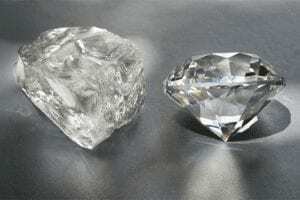 While a blue sapphire is more widely preferred, a white sapphire can also be used to represent September’s birthstone. Pink Tourmaline radiates unconditional love. In addition to this spiritual and emotional component, it’s said that pink tourmaline also has the power to soothe physical alignments pertaining to the heart. This gemstone sparkles best in a tonal rose gold band. Citrine comes from the French word for “lemon,” because of its golden tones. This autumnal yellow stone is believed to attract wealth and success and protect against evil. 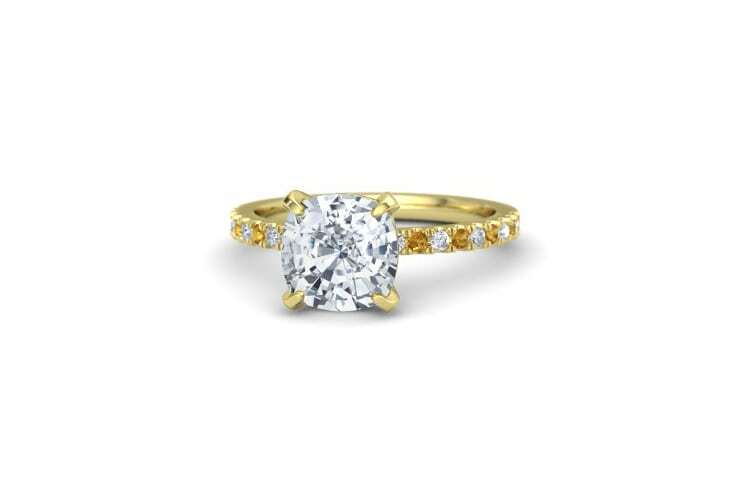 Set Citrine in a yellow gold band to showcase it’s true brilliance. From Old French word topace. The darkest variation is said to aid in verbal communication and promote calming energies. Blue topaz is classified into three different shades – light sky blue, Swiss blue and deep London blue. All these shades pair well with most metals, but for the most dynamic ring, choose a platinum or silver band with cool undertones. Named after Tanzania, the country in which it was first discovered, in 1967. Because its discovery was so recent, Tanzanite has no folklore or historical associations. That hasn’t stopped it from becoming hugely popular. After the “big four” (diamonds, rubies, sapphires and emeralds), tanzanite is the most sought after gemstone. 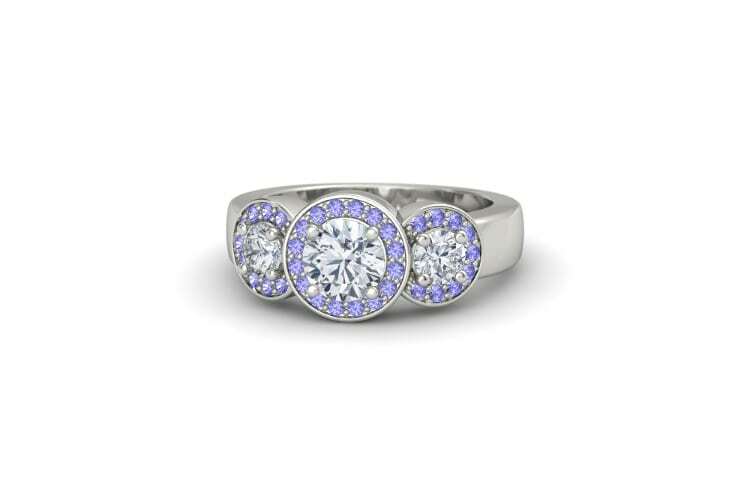 For a ring she can’t deny, set tanzanite in a platinum band with a white diamond halo.